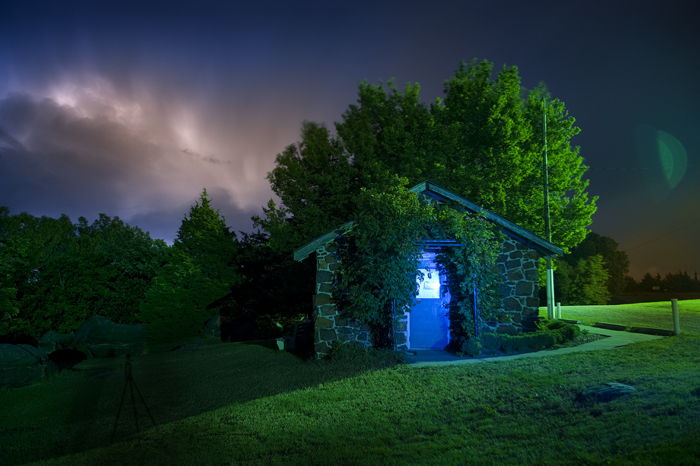 Lightning in the Land of Oz! Friday morning Wilson and I headed west out of KC in a horrible thunderstorm, but by the time we reached Topeka the skies were beginning to clear. Our road trip destination was near Salina, Kansas. There were multiple photographic venues on our agenda: the Lindsborg Swedish Midsummer Festival, Mushroom Rock State Park, and Rock City (near Minneapolis, KS). When we reached Salina, the temps were well into the high 90s with equivalent humidity levels! 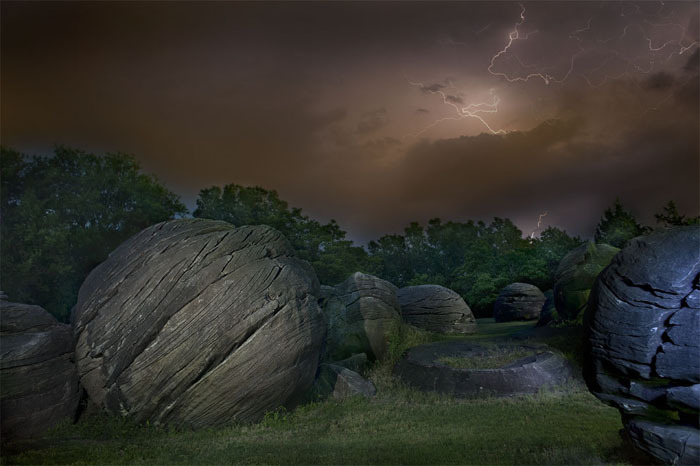 We first headed north to Rock City Park, which is privately owned, and were astounded by the size of these “concretion” boulders strewn about the landscape. Shot several daytime images there, then headed into Minneapolis for a fine Mexican lunch. 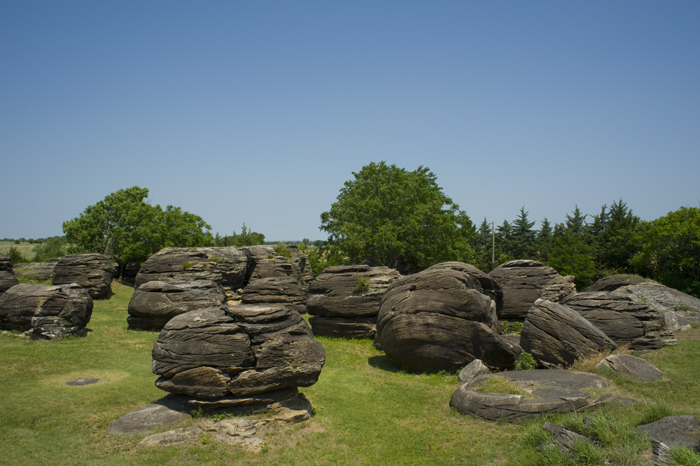 Next, we headed west again and made our way out to Mushroom Rock State Park…humidity levels were even more dire! Disappointment here as there were only 2 1/2 “mushrooms” in the 5-acre park. 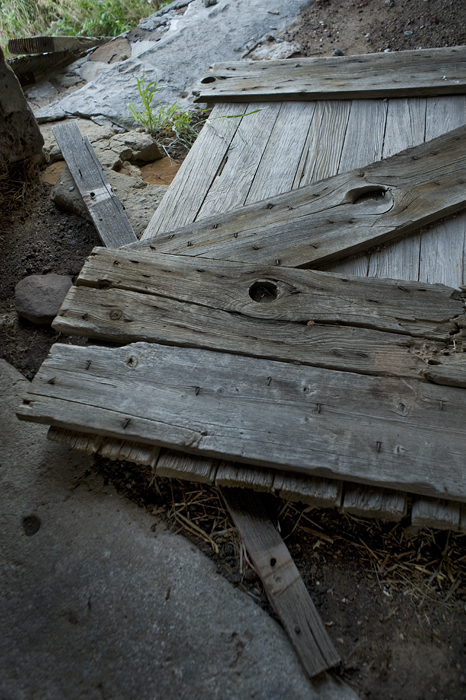 But never to give up, I noticed an abandoned prairie farmstead up on a lonely hill. With no one around, we made our way up to it and found a treasure drove of photo opportunities waiting. 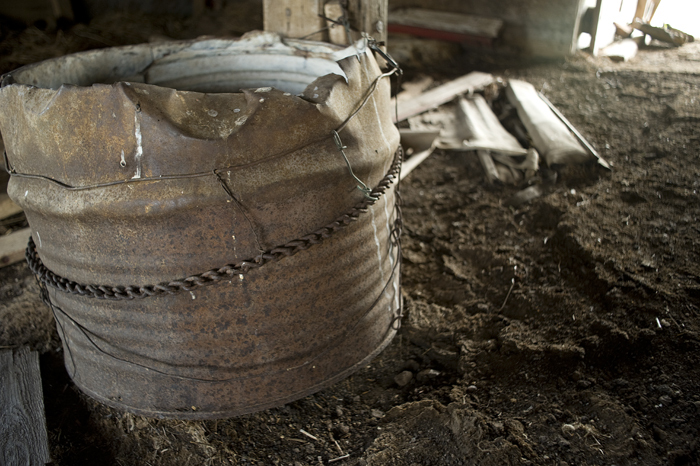 I concentrated my shooting inside an old barn. Great textures! 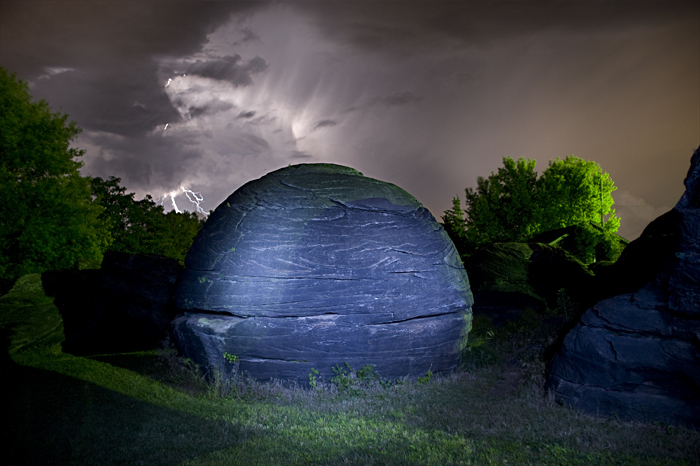 After dinner in Salina, we decided Rock City would be our nighttime destiny for shooting star trails amongst the concretions. We arrived at 8:30 pm, about a half-hour before sunset, in order set up our gear and make composition decisions. There were these incredibly nasty little gnats that ignored all our bug spray! Miserable. Clouds kept building and about 10pm the lightning started up to our south. We kept watching and shooting and eventually the storm moved in close and to our east. Instead of star trail photographs, we ended up with some great mysterious looking lightening shots with the sedimentary concretions in the foreground. I kept my camera’s WB set for daylight and the blue that appears on the rocks was from my LED flashlight. The eery green cast came from the nearby mercury vapor parking lot lamps. Of course, the colors in the sky were provided by nature, herself! Enjoy!